One of the common points of confusion in the commercial cleaning industry is the delineation between the terms Sanitizer and Disinfectant. Too often the terms are used interchangeably, when in fact there are clear differences between the two terms and the processes they represent. It is crucial that custodial staffs understand which process is appropriate at the right time, in the right environment, and with the appropriate methods and products. All involved in the cleaning and maintenance of facilities need to be aware of what defines a disinfectant, what defines a sanitizer, and what situations call for each type of product. Supervisors should have a sound understanding of how these products are classified and how they are regulated. 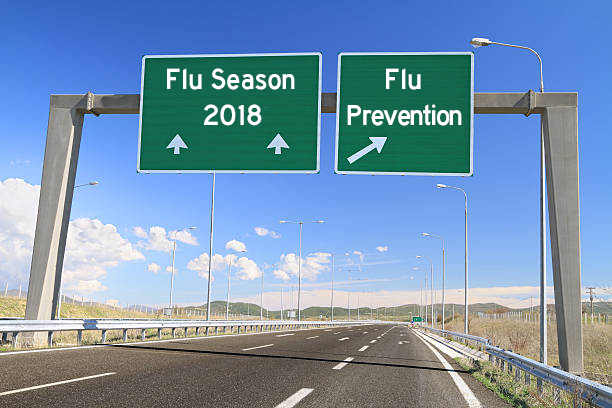 Through this knowledge, supervisors and staff members will all be aware of when it is appropriate to sanitize and when it is appropriate to disinfect. The Environmental Protection Agency (EPA) regulates products that make claims to killing organisms. This regulation is authorized by the Federal Insecticide, Fungicide and Rodenticide Act (FIFRA). Under FIFRA there are specific requirements on label information, use-dilution, formula, and manner of application. 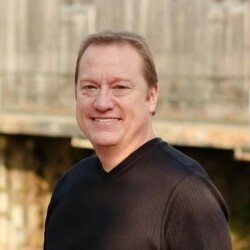 On the surface, customer review websites such as Yelp! or tripadvisor.com, may not seem relevant to Jan San Distributors and their sales representatives. Distributors may not see the Yelp! review traffic that businesses in the hospitality industries receive, but the distributors dealing with businesses such as restaurants, hotels, and fitness centers must be aware of the changing business landscape that sites such as Yelp have ushered in, and be prepared to establish themselves as a partner for their clients to help ensure they do not fall victim to bad Yelp! reviews. As Americans continue to perform more of our routine functions online, from shopping to bill paying to even basic communicating, the impact of customer review sites, such as Yelp!, cannot be ignored. At the conclusion of the third quarter of 2016, Yelp! estimated they received over twenty five million unique visitors to their mobile app alone. By the end of last year’s third quarter, Yelp! also estimated that they have accumulated over 115 million written reviews of businesses. The impact of Yelp! reviews will only increase in the coming years and business owners can ignore their impact at their own peril. Rubber floors are not new by an stretch of the imagination. However, the usage of rubber as a flooring material is growing in popularity and the types of environments in which you will find rubber flooring is expanding. 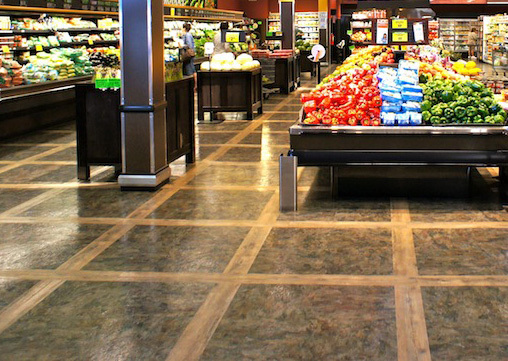 More and more operators of different types of facilities are realizing the many benefits that can be found with rubber flooring. First and foremost, we all know that rubber is an extremely durable material. 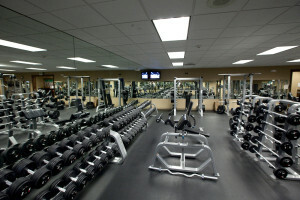 One of the most common places to find rubber flooring for many years has been in gyms and health clubs. No other flooring material is relied upon more in an atmosphere that continually takes the beating of heavy weights, usually in excess of 100 pounds, being let go and crashing to the floor. 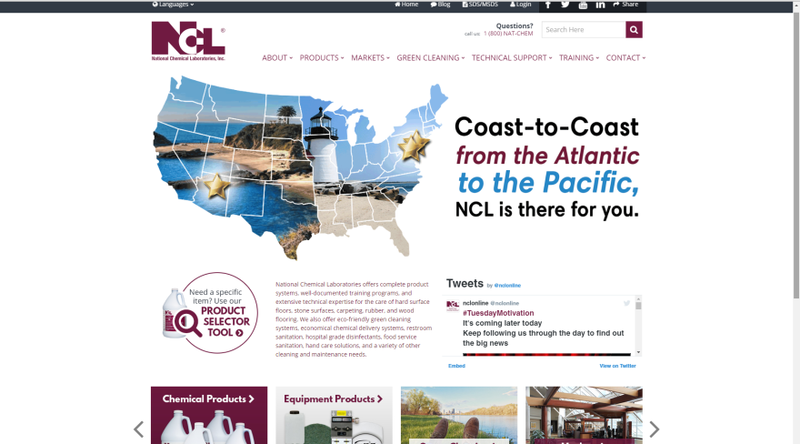 In June of 2016, National Chemical Laboratories unveiled a redesigned nclonline.com. Since the launch of the redesigned website, the response has been overwhelmingly positive and enthusiastic. The new look and interactive features have all received positive accolades. However, no feature has received as much positive feedback as our PRODUCT SELECTOR TOOL. It is our hope that this feature on our website will become a useful resource for Jan-San distributors, purchasing departments, maintenance staff leaders, and end users. Our extensive catalog of 270 World Class Cleaning Solutions covers many different sectors and product categories. Our goal in the sixty plus years of producing World Class Cleaning Solutions is for complete customer satisfaction. The best route to ensuring complete satisfaction is do whatever we can to assist others in selecting the appropriate product for their exact situation. Everyone, at one time or another, has found themselves in this exact or in a similar situation. The clock is ticking and you need information on a product – fast. You go to the manufacturer’s website and your production comes to a screeching halt. Navigating their website makes you feel like a laboratory mouse in a maze. Your frustration builds, your patience thins, your focus decreases, and your productivity diminishes. 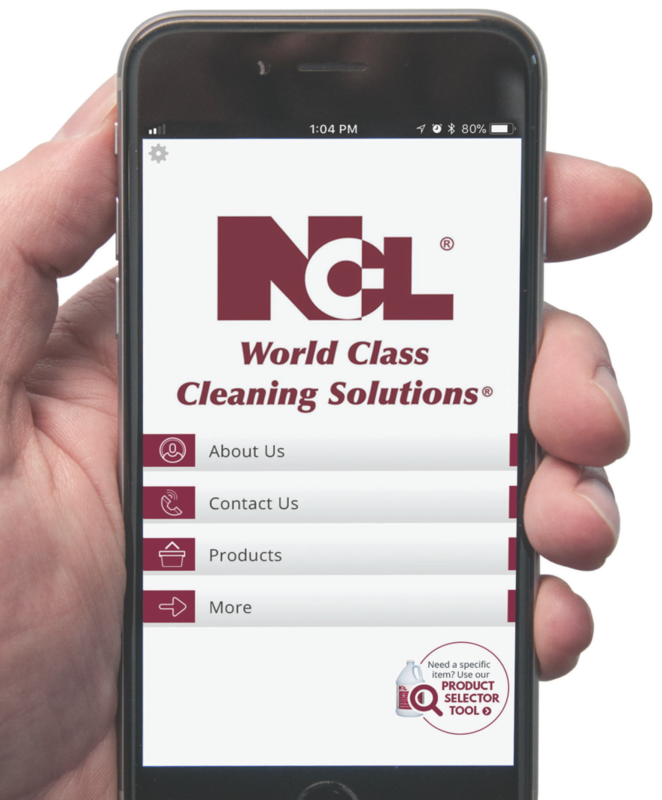 At nclonline.com, as you have already seen, we have recently introduced a total redesign of our website. Aside from the crisper, more modern layout, we have designed our site to provide you with more information in an easier to navigate format. This runs contrary to the strategy employed by others in and out of our industry. Green cleaning is more than just using green chemicals. Green cleaning encompasses tools, process, and chemicals to achieve a total healthy green cleaning program for a school or facility. A healthy green cleaning program that combines all three will reduce the impact on the facility, the occupants, the environment, and the custodial staff. As you can see, green cleaning goes beyond just the discussion of chemicals, to include these other areas to be complete. So where could someone look to learn more and put a program together? There are a few major organizations that you could look into when putting a program together, such as the US Green Building Counsel (USGBC), LEED, GREEN SEAL, EPA’s Safer Choice (formerly the Design for the Environment program), and OSHA (ergonomics). These are all great places to learn more and help create a guide that will help your crew to clean healthy and green in your facility. 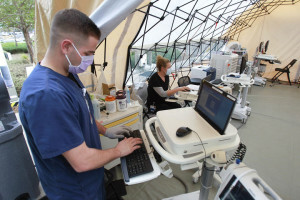 There is a lot of research out there on this topic and most manufacturers will be happy to talk with you about their section of this large area. But a program that contains a holistic approach to healthy green cleaning is rare. With advancements in technology, many floor technicians have been thrown for a loop of late. Going into facilities now requires a floor tech to include investigator and detective into their job description. The flooring surface under their feet may not be the material that it initially appears to be. Wood grain does not mean you are standing on a wood floor. Do you see rich veining in what appears to be a stone floor in the room you are about to enter? It must be marble, right? Not so fast. Those floors which carry the aesthetic characteristics as hard wood or marble may very well be vinyl. 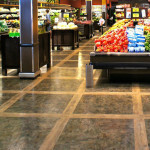 Luxury Vinyl Tile (LVT) to be exact. Many would think this is the same. But the reality is they are not even close. 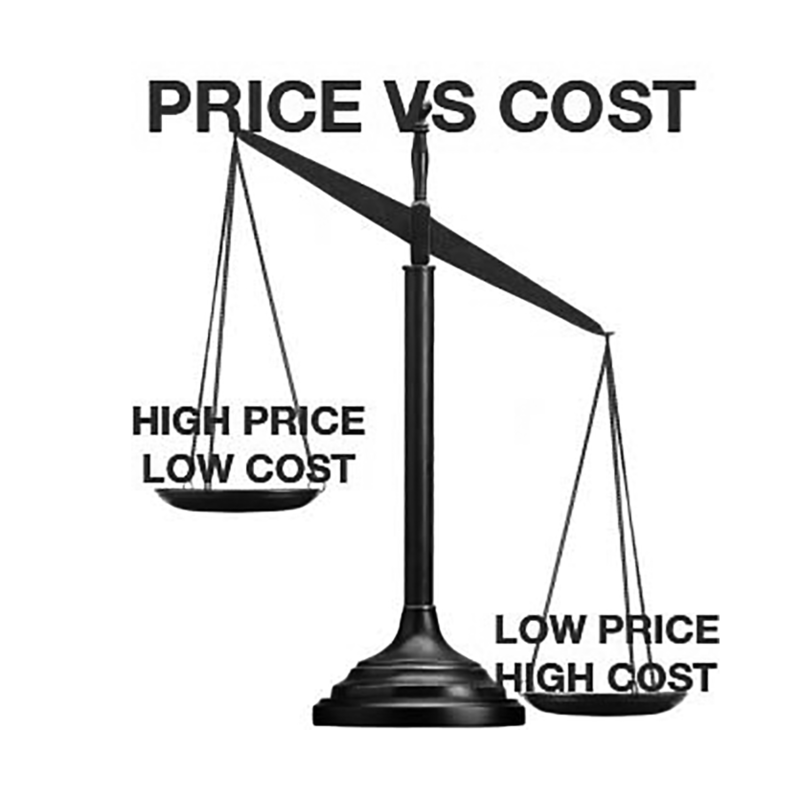 The price is what you pay for a given item when you purchase from your vendor. The cost is based on how long it will last (dilution or longevity of item) and how effective it will work to make the job better, faster, or easier. Just because a gallon of floor stripper is five dollars less in price does not mean it is a good buy. What if the higher priced floor stripper has a dilution ratio four times higher (1: 4 vs 1:16) and works better at removing the finish quicker, better, and easier? 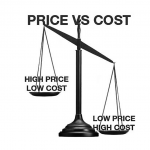 Granted, you would spend less cash up front when you purchase the product but you will wind up purchasing more product to do the same amount of square feet and spend much more on labor because the product is not effective.